Post-holiday leftovers are great, and, just like in Rosie's time, we don't want them going to waste. 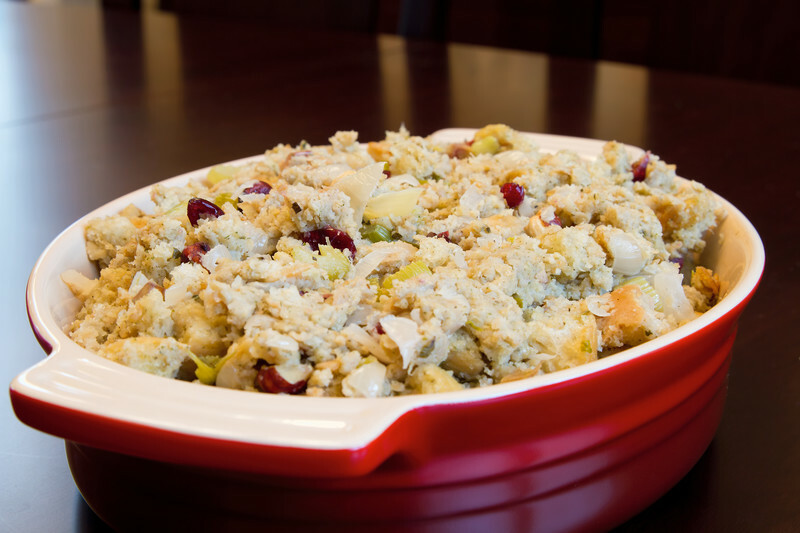 However, they can also take up a lot of space in your refrigerator, so here's a delicious recipe that combines your holiday leftovers into a single casserole dish, saving space in the fridge. 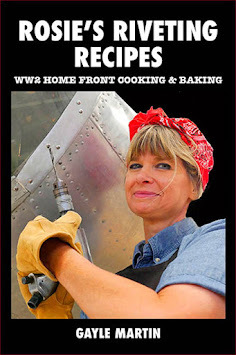 Preheat oven to 400F and spray nonstick cooking spray into a 12 x 8 x 2 inch baking dish. Set aside. Melt butter in the microwave and add the breadcrumbs, stirring until they are moistened. Sprinkle the breadcrumbs over the top of the turkey mixture. Note: If you're short on stuffing slice bread into small cubes and add to stuffing. If you prefer a creamier casserole, add more broth or milk. I'll bet if I were to take a poll and ask Americans what's their favorite part of the Thanksgiving meal, the answer would mostly likely be the mashed potatoes. Don't get me wrong. I like the turkey and stuffing too, but Thanksgiving just isn't Thanksgiving without the mashed potatoes. Amazingly enough, there are people out there who forgo mashed potatoes on Thanksgiving because they're "unhealthy" or "too fattening." Sorry, but that's just wrong in so many ways, and it's a good thing I'm not having my Thanksgiving dinner at any of their houses! If I found out my host or hostess wasn't serving mashed potatoes I'd bring my own. No one needs to be "phobic" about mashed potatoes. Especially on a special day like Thanksgiving. There are some really simple ways to make them more "healthy" so you don't have to deprive others of their favorite part of the meal. 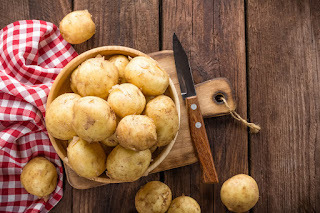 So here are my suggestions for dealing with, "Mashed Potato Phobia." 1) Keep the skin on the potato. Remember when we were kids and our parents told us that the skin was the best part of the potato? Well, they were right. 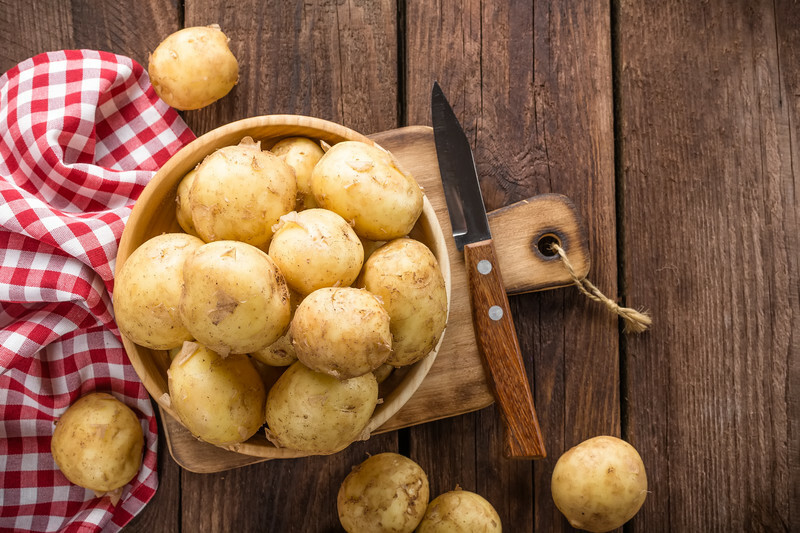 Potato skins are high in vitamins and a good source of fiber. The skin also has the most flavor. So I leave some of the skin on when I peel my potatoes. Along with being healthier, it adds a wonderful flavor and texture to the finished mashed potatoes. 2) Use skim milk, 2% milk, chicken stock, or a combination thereof. Chicken stock, along with the skins, adds even more flavor while cutting back on fat and calories. I would, however, recommend using at least little bit milk along with it just to add creaminess and thickness. I think we all know by now that margarine is a transfat, and transfats are extremely unhealthy. I no longer allow margarine in my home, and now only use real butter. However, if you're worried about cutting fat and calories, you can also skip the butter and use the chickenstock. See? How simple was that? With just a few easy steps everyone can enjoy healthier, and more flavorful, mashed potatoes. With the holiday season coming up there's no need to buy canned cranberry sauce with its high fructose corn syrup and other additives you may not want when it's so easy to make it yourself, just like Rosie did. You can also save time on turkey day by making it the day before and allowing it to chill overnight. 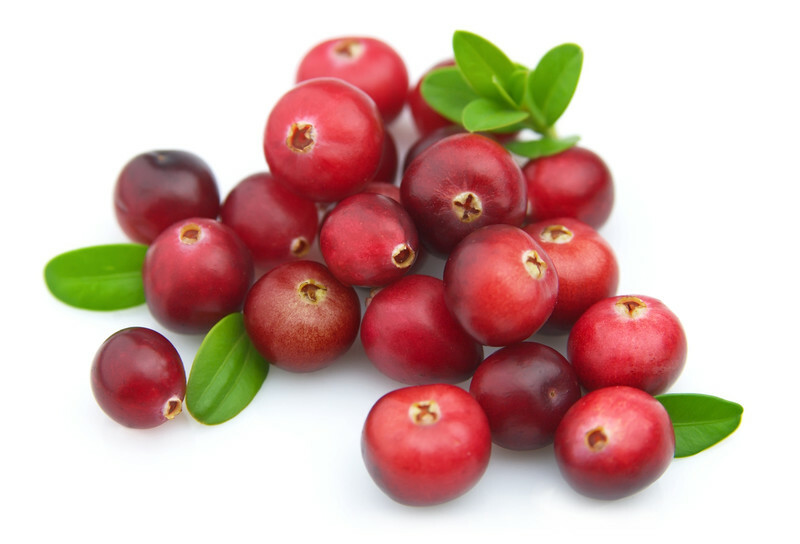 Place cranberries in a colander or strainer and wash thoroughly, removing any damaged berries. Set aside. Pour water into a 2 quart saucepan and place over medium high heat. Add sugar and stir until dissolved. Bring to a boil and add cranberries. Reduce heat to medium, stirring occasionally until cranberry skins begin to pop. Keep stirring for several minutes. If a smoother sauce is desired, keep stirring until most of the skins have popped. Remove from heat and set aside. Sauce will thicken as it cools. Refrigerate sauce once it reaches room temperature. It's the time of the year when I get up close and personal with Tom Turkey. The first, and most important step in preparing the traditional Thanksgiving feast is making sure the turkey is thoroughly washed and properly prepared for roasting. 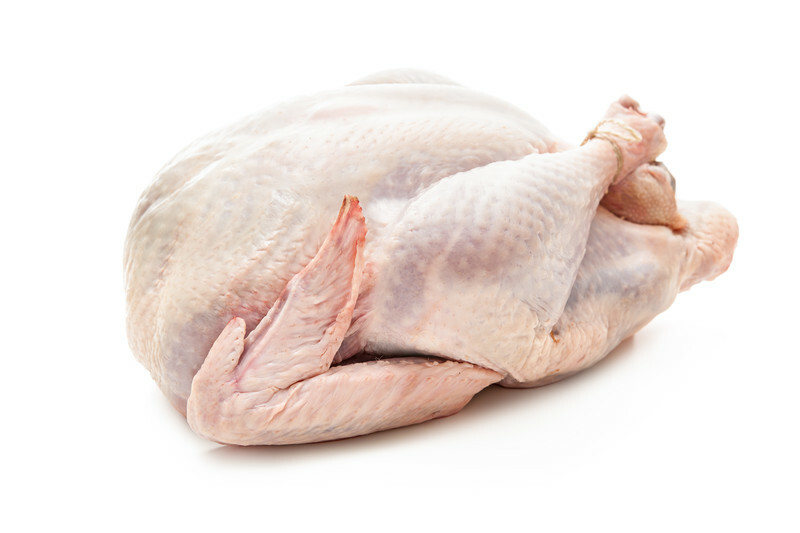 Turkey, like any poultry, is prone to salmonella, an airborne pathogen that can find its way to your turkey by improper handling at the packing house or by improper handling at your house. Most of us buy frozen turkeys, and the best way to defrost them is to put them in the refrigerator several days before the Thanksgiving meal, but sometimes things don't always go as planned. If you have to do a quick defrost the best way to proceed is by filling the sink with scalding hot water and soaking the bird. You may have to repeat several times over the course of a few hours. And be sure to keep the bird covered. The original wrapper works best. Salmonella can be airborne, so an uncovered turkey, or any meat for that matter, left out to defrost is an open invitation to trouble. Once the turkey has been completely defrosted it needs a good bath. With any poultry I always go on the assumption that salmonella is there, so I put it in the kitchen sink, (which by the way, needs to be cleaned and sanitized first), and I run the water over all over it. Salmonella can hide in the nooks and crannies. This is when you get up close and personal, so be sure to wash under the wings and thighs, in all the joints, and make sure to thoroughly flush out the body cavity while you're at it. Yes, this process can get a little messy, particularly if you're washing a big turkey, but trust me, it's well worth the effort. Once the turkey has been completely washed it's ready for the roaster, the fryer, or the smoker, and be sure to clean the sink and countertops with disinfectant wipes to help prevent cross-contamination so you don't end up with a rather nasty, uninvited guest.